I still buy CDs. And until Amazon.com or iTunes starts selling music in a lossless format, I’ll likely continue to do so. However, I rip CDs to my PC immediately after purchase, leaving me with the problem of where to store the CD. Dumping the CD jewel case and storing just the CD and liner notes can save a ton of space, so I decided to buy some thin CD sleeves. You can buy plain paper CD sleeves from numerous sources, but they usually don’t have room for liner notes. 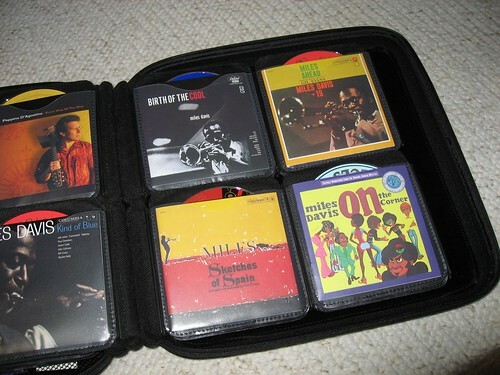 There are also many CD cases with built-in sleeves available, but they’re usually pretty crummy. The sleeves are often made of cheap plastic that tears easily, and can stick to the CD. They rarely have a slot for the liner notes, and you can’t remove the sleeves from the case. Slappa makes the best CD sleeves I’ve found. Each sleeve has a fabric slot for the CD and another slot with a matte polypropylene clear cover for liner notes. They are stitched around the sides instead of glued or melted, so they won’t come apart over time. 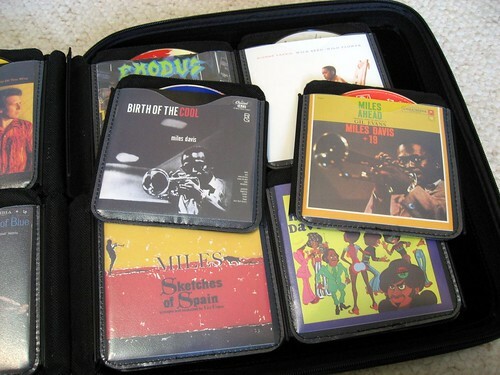 They have an optional interlocking slot system that let’s you easily remove and re-sort a CD collection. A single sleeve holds two CDs and two liner notes, and Slappa sells a model that holds four CDs for two double-CD sets. These things are fantastic. I intended to buy the sleeves on their own, but it was a tad cheaper to buy them with an included case. The cases are impressive too – very rugged. There is a pocket in the front of the case that I use to store the back sides of CD inserts. Slappa also makes a version of the sleeves for DVDs. I bought a set of them and tossed the original cases for a bunch of movies and video games. It’s amazing how many DVDs and video games you can store in a single drawer after ditching their cases. 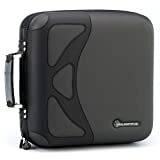 I ordered everything directly from the Slappa web site, but it looks like they are now also available on eBags.com, possibly with cheaper shipping. The only downside is what to do with the leftover CD jewel cases. It turns out that they are very difficult to recycle, and can’t be put in the recycling bin. Apparently, you can mail them to a couple of companies who will then try to re-sell them or grind them up, but I’m not sure I want to pay to mail hundreds of empty cases somewhere. If you know of any ideas, please post a comment.